It becomes a little more challenging, however, when you are that vina. We all know what to do when you need to talk. But what do you do when your friend is really depressed and going through a really challenging time and texting non-stop is just not enough? The million-dollar question is, “How do I deal with somebody else’s drama amidst my own?” Because let’s face it—other people’s problems have a way of seeping in through a crack and dominating our lives. Be it family, colleagues or friends. If we don’t equip ourselves with the necessary skills and knowledge semi-equivalent to that which therapists trains years for, you might end up ruining a relationship. People skills stretch farther than just learning how to deal with people at work, and if applied correctly, dealing with our distressed loved ones will become easier. 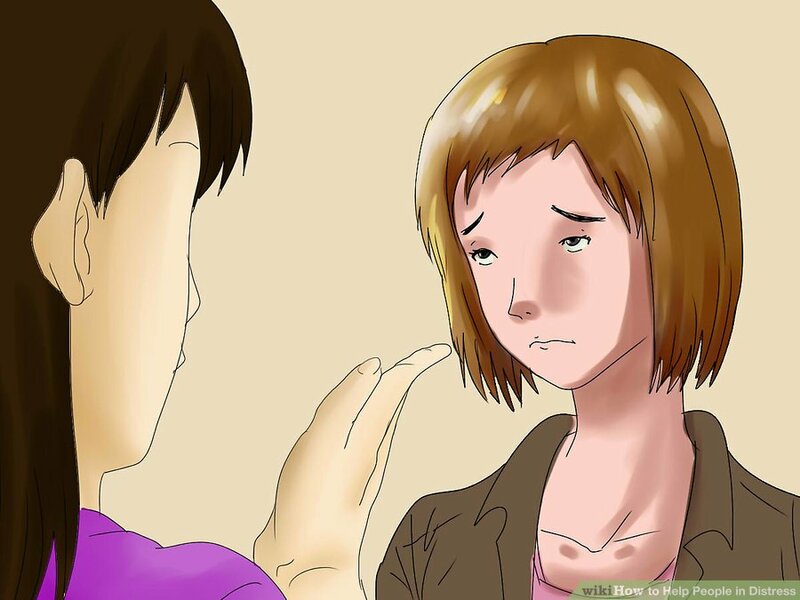 WikiHow lists nine steps (with pictures, of course) of how to help people in distress. One of these images, the first step, looks like the person is about to slap the poor girl if she doesn’t pull herself together. LOL. Sounds like a page right outta my mom’s parenting guide. She even looks a little like my-teenage-self. My point is, although the internet does help, it doesn’t know your vina the way you know your vina. She’s inspiring, loving, caring, supportive, and on her best day, she is the rock-solid foundation on which you build your laughs. My advice is to try bringing her peace by calming the situation down. Narrating a “worst- case scenario” situation will give her perspective of the magnitude of the problem. Most of the time, we just overreact and it’s really not even as bad as we make it in our own heads. Compliment her and get her to compliment herself. The hardest thing to admit to yourself when you are feeling as low as low can get is that you are beautiful and worth it and that you are doing the best you can and that that is all that matters. We often find, especially with people who are generally very negative, that the helper becomes so despondent because nothing they say to this person is absorbed. And that can either be because the person is reliant on the attention they get when they wallow or because bathing in this glory of failure and self-loathe is easier than making a change. As a friend, your job is to highlight that self-pity should be a momentary thing that we do to gain perspective of things we should avoid. If we hang out there for too long, we lose perspective of what we should do and focus too much on what we can’t. So bring in reinforcements if you need to. If she needs to hear what you have to say from more people, if she needs help from another person, if she needs to tell someone something, be that bridge for her. The best thing you can ask yourself is, what can I do that is reasonably within my reach to try and defuse the situation? Want to connect with new vinas in your area? Start now!